Training aids convey complex messages and ideas in a way that allows non-technical staff to grasp them more easily. They are an excellent tool for getting general staff involved in discussing and understanding the complex issues affecting their work – and to do so in a low impact, low pressure, fun way. 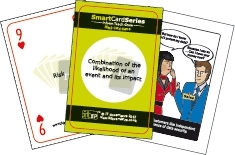 This card game gives staff an opportunity to identify what might be practical solutions to common organisational information security challenges. Designed with ISO27001 in mind, it helps staff identify the key elements at the base of an information security management system (ISMS), and teach them how to manage the critical issues that they may face when implementing it. 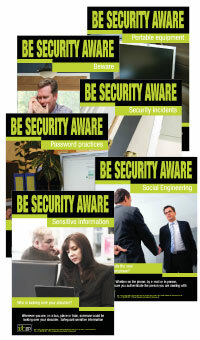 These posters are designed to be used as part of a general information security education and awareness initiative inside security-conscious organisations and all organisations pursuing ISO27001 certification (which requires a staff training and awareness plan) or, Data Protection Act compliance.